Every business should have their 'Business on a Bin'. Why? 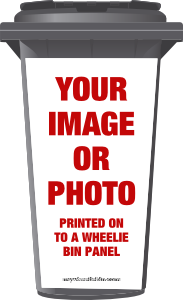 Because it's a cheap, easy cost effective form of advertising that’s sure to get you noticed. Use your bin to profile your business, promote your services, launch of a new product or service, sales and discounts, recycling and safety regulations or even corporate giveaways and promotional gifts. 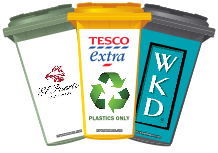 So make the most of your bin and get sticking! 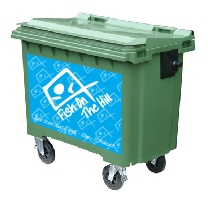 If your bins are visible outside your business premises then why not use them to promote your c..